With living expenses on the rise, it’s essential to save money every way you can. One way that you can cut costs is to reduce your utility bill by making your home energy efficient. Areas to address include insulation, the heating and cooling system, lighting, and appliances. Here are seven simple tasks you can undertake to start racking up the savings. You don’t have to implement all of these changes right away, but take baby steps and you’ll have a more energy efficient home. Old windows let warm air out and cold air in, or the opposite on hot summer days. 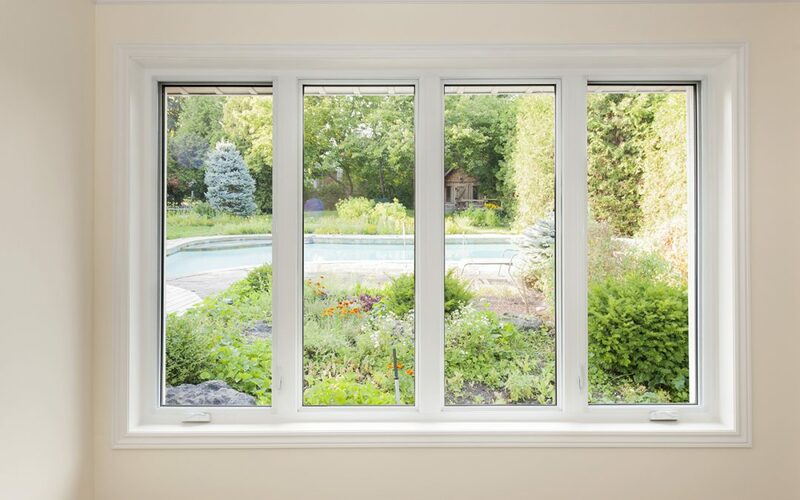 If you don’t want to replace your windows, add storm windows and weather stripping to seal off leaks. Savings pay off over time, and if you are replacing windows for any other reason, pick up the energy-efficient models and see the savings accumulate over time as they can save you 15 percent on your energy costs. A furnace over 15 years old wastes approximately 35 percent of the fuel it uses and is probably nearing the end of its life. Purchase a furnace with an efficiency minimum of 90 percent, meaning it wastes no more than 10 percent of its energy, and can save you more than 25 percent on your monthly energy bill. Turn your water heater down to a temperature of 120 degrees or less. Insulate your water lines to keep water hot for longer time periods and replace your sink and shower fixtures with low-flow models to reduce water usage. Conventional showerheads flow at five gallons a minute, while low-flow showerheads cut that in half to 2.5 gallons/minute. A simple way to cut down on your electric bill is to install CFL or LED bulbs. A CFL bulb only uses 27 watts to generate the light equivalent to a 100-watt incandescent bulb. LED bulbs are even more energy-efficient, but are more expensive upfront. If you’re sick of looking at your old appliances and want new, modern ones, ensure that they’re energy-star certified. Old appliances use more electricity to run. The same applies to older clothes dryers. Check the kilowatt/hour usage on the label before buying the appliance. Make sure that it uses less than your current appliances if your goal is to get a return on your investment in the form of a lower electric bill. Improve your home’s curb appeal by adding some landscaping. Foliage also shields your home from the sun’s rays in the summer and the bitter cold winds in the winter. The results won’t be as significant if your home is well-insulated and blocked already, but every little bit helps. It’s also aesthetically appealing and can increase the curb appeal of your home. Increase and improve insulation in your home. During the winter, you’re letting out heat while you’re letting it in during the summer. Install insulation in areas where it is sparse or not present at all, and utilize weather stripping to seal off gaps. During home inspections, an infrared camera can reveal areas of missing insulation or gaps in doors and windows where air can leak through. Hiring a home inspector who uses thermal imaging can give you a more accurate picture of what areas of your home you need to address to help the efficiency. Everyone can use less energy to reduce their impact on the environment. A simple way to do your part is by utilizing these tips to both save money and make your home worth more on the market. Making your home energy efficient is an investment that will pay off. Pacific Home Inspections serves the Greater Vancouver area with home and condo inspection services with infrared thermal imaging available as an add-on or a standalone service. Contact us to schedule your appointment.